Emily Glorney is a Chartered and Registered Forensic Psychologist and conducts qualitative and quantitative research. Emily has over 20 years experience of research and practice in the area of forensic mental health. She worked for 10 years conducting clinical assessments and delivering therapeutic interventions in a high secure hospital for men with personality disorder and/or mental illness. Her research focuses on the mental health of offenders in hospitals, prisons and the community, and forensic mental health service delivery. 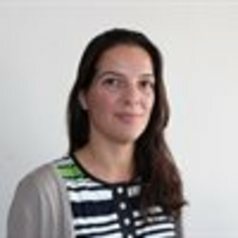 Emily continues to be involved in the psychological assessment of risk of re-offending presented by male prisoners and is a forensic psychology Stage 2 supervisor. Recent research includes the relationship between traumatic brain injury and violence among women prisoners, evaluation of a specialist brain injury service for women in prison, the experiences of imprisonment and risk among people with protected characteristics, and pathways to online sexual offending. Emily has an ongoing research collaboration with onlinePROTECT, an international research group that addresses the safety of children and young people in online and offline environments, by focusing on offenders who engage in online sexual offences against minors. Emily is also working on projects in collaboration with the National Offender Management Service, the Police Federation, and the Disabilities Trust. Previous organisational collaborators include the Missing Persons Bureau of the National Crime Agency, the charity Missing People, and the College of Policing.